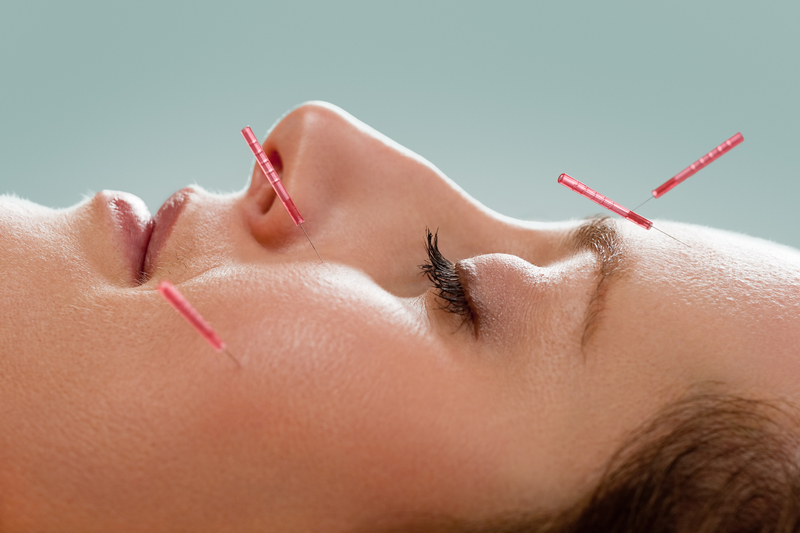 This is Part 1 of a series I will be doing on acupuncture. This first section describes how I landed in an office where people stick needles in you in the name of healing. Recently, I have been exploring alternative health options. After 48 years of living the traditional American life—fast food delicacies, cases of ibuprofen, and intermittent exercise regimes—my body was falling apart and screaming for a change. I suffer from a host of health annoyances: overweight, sugar addiction, arthritis, sleep apnea, and since moving to Houston, a host of allergies almost year round. As I said, these are annoyances—things that hurt my quality of life but will not kill me dead tomorrow. I am fortunate that I do not have high blood pressure or diabetes (yet), and my cholesterol levels are not at pill popping range. However, I realized that my “luck” could run out any moment—tick, tock. But, I talked and worried about these potential serious health problems more than I ever did anything about them. The truth is as I vowed to get healthier, I really had no HOPE I could do it. A lifetime of failure was my proof. Then one day I received a call from a friend of mine named Mary*. She has a daughter who has been suffering with a rare illness called Cyclic Vomiting Syndrome since the child was 5 months old. For her daughter Haley*, this means that every 7 weeks almost to the minute, she will start feeling nauseous. She will be sensitive to the light and develop migraine headaches. At the peak of this 10 day cycle, she will spend several days vomiting almost nonstop—violent, horrific vomiting to the point of utter exhaustion. Her mother stays by her side for most of the 48 hours because she is so afraid her child will aspirate. Once the violent retching stops, Haley is incapacitated by sheer exhaustion, migraines and light sensitivity. On the downward side of this cycle, Haley spends the next few days trying to regain strength and wait for her vertigo to cease. As I said, it is horrific. Haley is now 10, and it should not surprise anyone that the child has some serious depression. She has told her mother she does not want to live like this the rest of her life. This broke her parents’ hearts. They had been to neurologists, migraine specialists, sleep doctors, and a host of doctors with special initials by their names. No one could help her. God knew what He was doing when He gave this very special child to her parents. Mary is a speech pathologist who works mainly with middle school children in a suburb of Houston. This past school year, Mary had been working four months with an autistic boy who had a hard time engaging with class. Colin* refused to sit in a desk, he rolled on the floor, and almost never participated. This was not unusual. Mary had worked with others just like him for many years. But, one day things were different. This past November, Mary walked into her classroom, and to her amazement she saw Colin sitting in his desk with his books and agenda out. He still fidgeted, but for the first time since the beginning of the year, he was attentive and engaged in the lesson. This was such a startling difference that Mary decided to call his mother to find out what was going on: new drugs? New therapy? It turns out that the mother had been taking her boy to an acupuncturist, and his dramatic turn around was attributed to this 500-year-old medical procedure. With nothing left to lose, Mary took Haley to see this medically licensed acupuncturist. After an exam, the doctor was honest with Mary. He said they had a 50/50 chance of healing her, but to do so would require some intense work. So, they started that day with a procedure called cupping and traditional acupuncture. That week and several months that followed, Haley went at least four times a week. By the time I had spoken with Mary, Haley was in the middle of her third month of treatment, and the miraculous part was that Haley had missed a vomiting cycle for the first time in 10 years. Moreover, she was sleeping well, more attentive and less stressed. Even her gymnastic coaches noticed a significant difference in Haley’s attitude and ability. The bottom line: Acupuncture had changed Haley’s life and the lives of her whole family. With such dramatic testimony, I thought maybe acupuncture could help me with some of my aliments. So, I made the appointment. Stay tuned to learn what happened to me. Makes me want to take a more wholistic approach to living. Love this story! Thank you for sharing; and can’t wait to hear the next part!